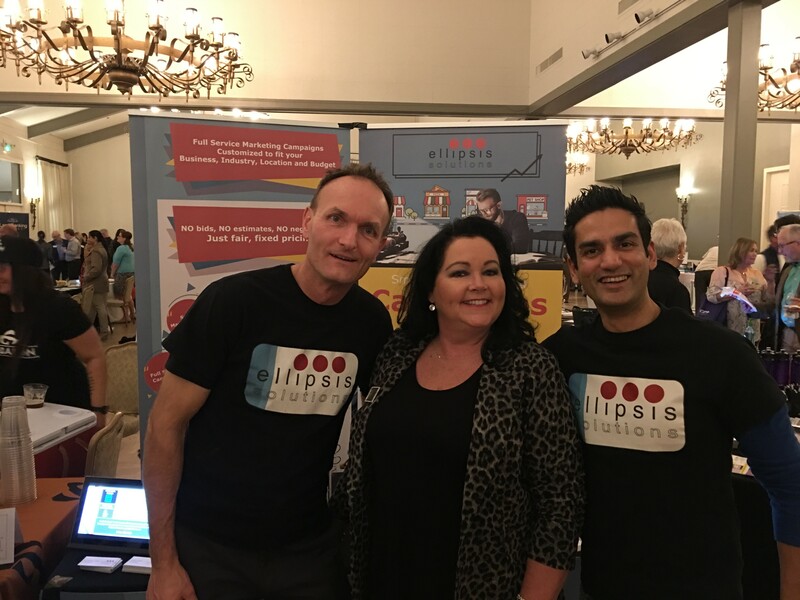 We took Ellipsis on the road again this month at a Small Business Tradeshow mixer at the Castlewood Country Club hosted by Pleasanton Chamber of Commerce. Great venue for an after-hour mixer. The fact that our booth was “stuck” between the Beer Baron and the food tables added to our experience.